Thirty-one years ago, when my mother was 3 months pregnant with me, a harsh winter forced my parents off the farm that has been in our family for over 50 years. 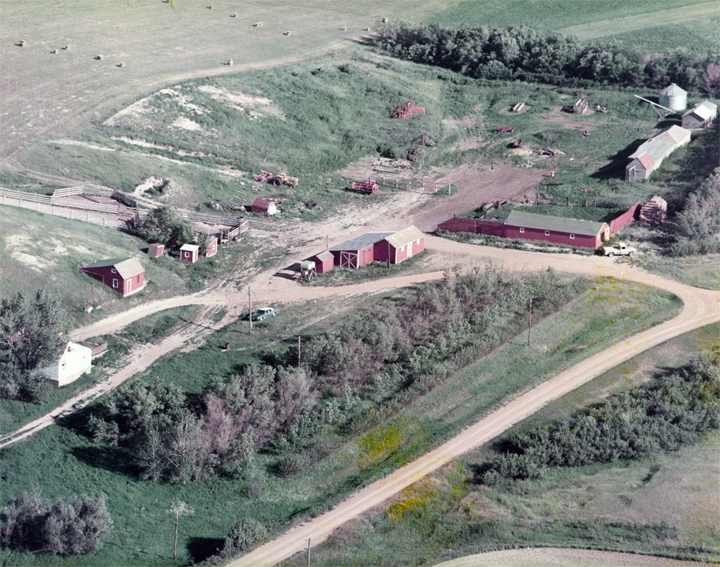 The 1,300-acre farm is tucked away in the little Badlands of North Dakota and only accessible by 9 miles of scoria road. After my parents’ left the farm they moved to nearby Dickinson, the land was rented to neighbors and the home was rented out to a couple that left the home in such disarray it was no longer safe for human occupancy. That is when the barn swallows, rabbits, raccoons and mice began to settle into their new home. I was able to enter the home a few times as a child to view the new homes these animals had tucked into the corners and recesses of the rooms. Eventually the floor by the front door collapsed barring any further human access to the remainder of the home. In its simplest form “If We Lived Here” was built in an attempt to provide shelter for the birds that were displaced when their home was destroyed. In it’s most complex form it is a quiet and haunting, ghostlike reminder of what was, what is no longer, and what may never be. It holds memories far beyond my years and comprehension while at the same time providing a new presence of hope and possibilities for this rural landscape. The landscape my mom was raised on, the land that her and my father would try to make a living off of, a place that I dreamed as a child to call home, the land my sister and I will someday inherit. Paula Rebsom’s work explores both human and animal habitats and the many complex relationships that form when the two intersect. “If we lived here.” is continuation of these investigations further delving into the relationships that form around man made structures and the abandonment of them. It addresses issues of human and animal migration, loss of habitat and home, and its reclamation. This is Paula’s first permanent outdoor installation and her first time using solar powered, wireless web cameras to give both the viewers and herself 24/7 access to the site.